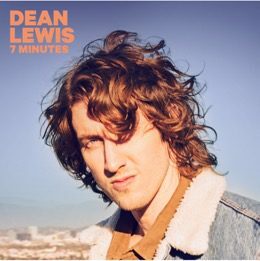 18 January, 2019 (TORONTO, ON) - Following his global hit ‘Be Alright’ and fresh from his sold out national tour, multi-platinum selling singer-songwriter Dean Lewis today releases his brand new single ‘7 Minutes’, a further taste of what’s to come from his forthcoming debut album. Many an artist has explored the pain of lost love, but few have written about those first few moments of heartbreak when your head is spinning, and the gravity of the situation is dawning. 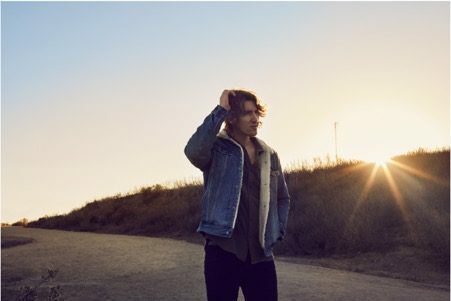 Recorded at The Barn Studio in Hitchin, North London, with producers Edd Holloway and Nick Atkinson – with whom Lewis worked on ‘Waves’ and 4 x Platinum ARIA single ‘Be Alright’ – ‘7 Minutes’ has already become a fan favourite with Lewis performing it live during his recent sold out headline shows across the world. Now with over a billion streams of his music globally and being named Billboard’s “Chart-Breaker” in October, Dean has topped local and international charts with ‘Be Alright’. The single was announced last week by ARIA as the fourth highest selling single in Australia and the second highest selling single from an Australian artist in 2018. Achieving GOLD certification by RIAA in the USA in December ‘Be Alright’ is still charging up the charts hitting Top 40 at Billboard, headed Top 20 at Top 40, Top 10 at Hot AC and is the #2 greatest gainer and has just debuted Top 20 at AC coming in as the #1 most added at that format this week. ‘Be Alright’ topped the Apple Music, Shazam, iTunes and Spotify Charts in Australia, peaking at #1 in 6 markets and Top 10 in 23 countries on iTunes, and reaching the Top 5 in 13 markets on Apple Music. Now with over 15 million monthly Spotify listeners, Dean has reached #1 on Spotify in 5 markets, Top 5 in 13 countries and Top 10 in 23 countries. Dean heads back to the US and Canada in February for his first North American headlining tour.